Fist Fight Is Three O’Clock High With Potty-Mouthed Teachers! (L-r) ICE CUBE as Ron Strickland and CHARLIE DAY as Andy Campbell in the New Line Cinema and Village Roadshow Pictures comedy “FIST FIGHT,” a Warner Bros. Pictures release. Almost thirty years ago, there was a sleeper comedy hit called, Three O’Clock High, in which a nerd named Jerry Mitchell got himself in hot water with the school’s behemoth of a bully and found himself challenged to a fight after school. It was pretty good. Fist Fight is essentially the same film only with potty-mouthed teachers and played for R-rated comedy. It’s not quite as good, but after an extensive set-up, it builds into an explosive, hilarious Big Finish. Charlie DayFist FightIce CubeMovie ReviewsWarner Bros.
3 O’Clock High with Teachers (Very NSFW) Trailer: Fist Fight! The red band trailer for Warner Bros. new R-rated last day of school movie, Fist Fight, is hilarious. I just hope that the trailer’s creators didn’t include all the best bits in it. Fist Fight opens on February 17th. Parking Lot Trailer: Fist Fight! It’s a whole new level of wrong when two teachers hit the parking lot after the last day of school to have a fist fight (and, really, Ice Cube vs. Charlie Day? No contest!). There’s a new international trailer for Fist Fight but you have to step outside (over the jump) to get to it. Fist Fight opens on February 17, 2017. I have no idea if this is going to be an early candidate for the 2017 Razzies or the next 3 O’Clock High. All I know is that a high school teacher played by Ice Cube has (angrily) informed another teacher, played by Charlie Day, that they are going to have a fight in the parking lot after school – on the last day of school. Fist Fight also stars Christina Hendricks, Tracy Morgan, Dean Norris, Jillian Bell, Dennis Haysbert and JoAnna Garcia Swisher. It will be in theaters on February 17th, 2017. The trailer follows the break. 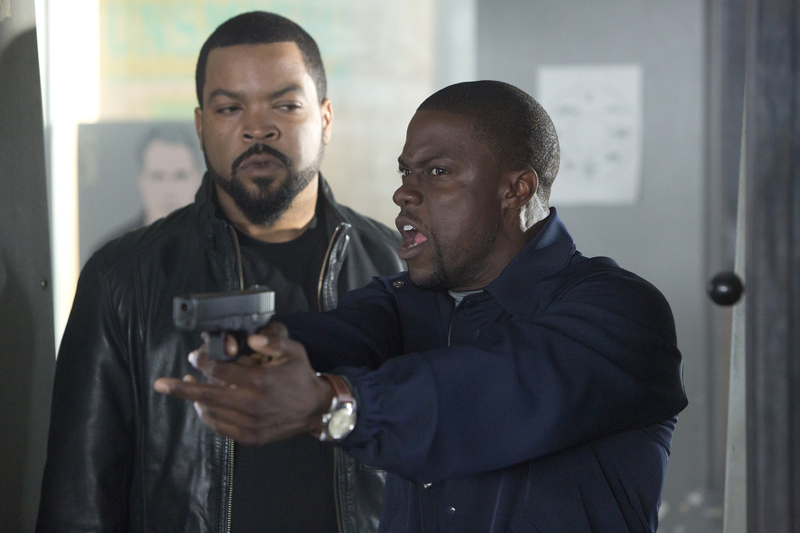 After Ride Along racked up some impressive numbers over its first weekend, Universal Pictures was quick to greenlight a sequel – and, it seems, everyone involved was quick to get production rolling. Ride Along 2 has its first trailer and it is every bit as off-the-wall ridiculous as anything we saw in the first movie – which is good, because Ride Along might not have been genius, but it was a lot of fun. Follow the jump to watch as the Brothers-In-Law meet some heavy duty crazy in Miami. 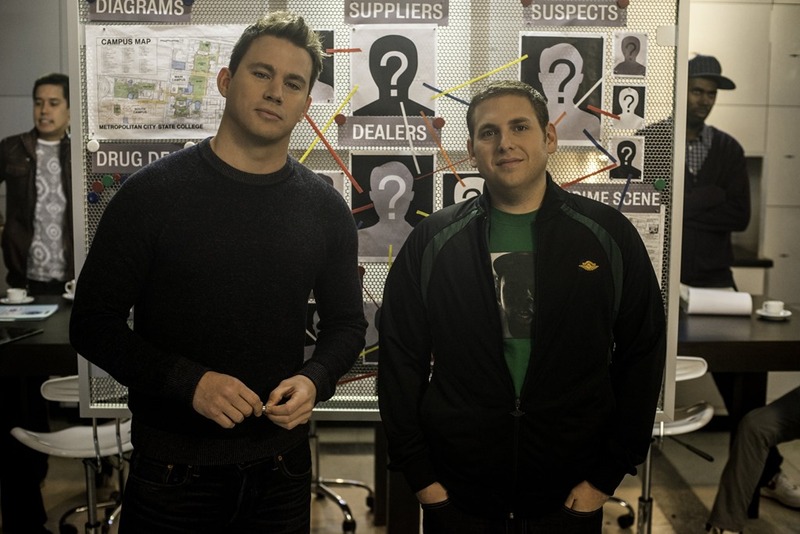 22 Jump Street: Everyone Knows About Sequels! 21 Jump Street was an unexpected delight because it mocked every possible aspect of turning an ‘80s cop show into a movie. 22 Jump Street aims to do the same thing for sequels. It’s too bad that when it isn’t being meta, it loses steam – but it’s still a better than average sequel.